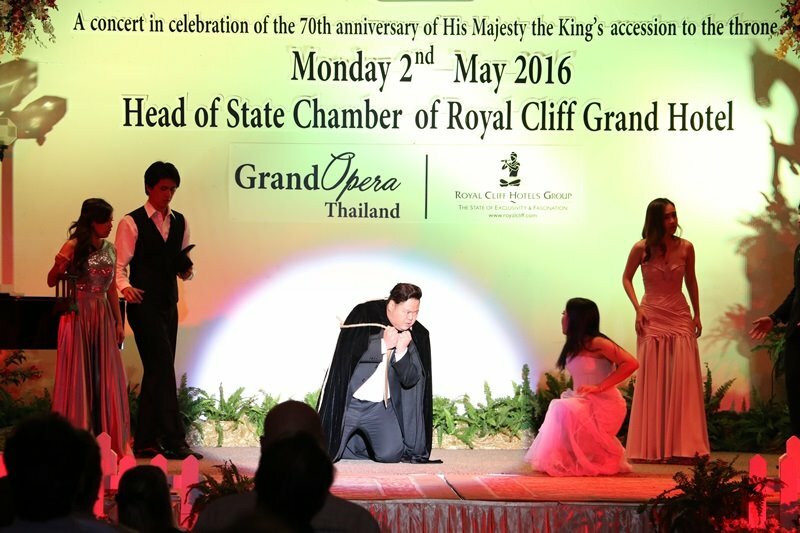 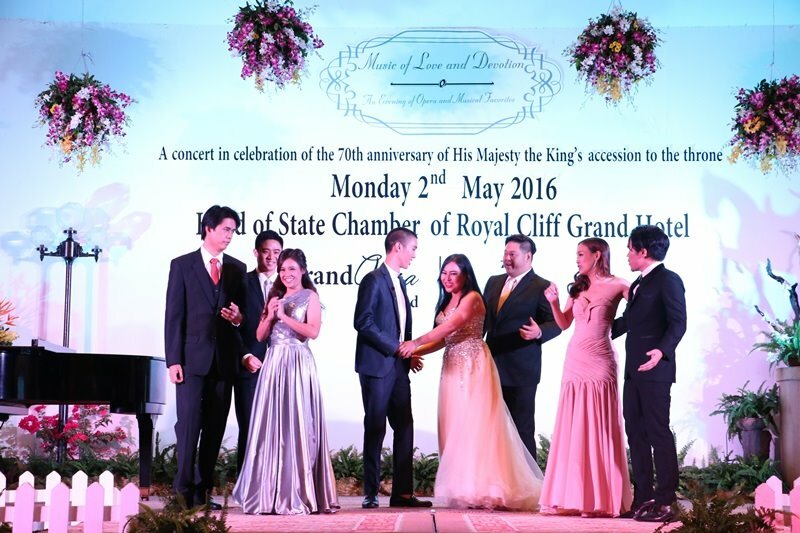 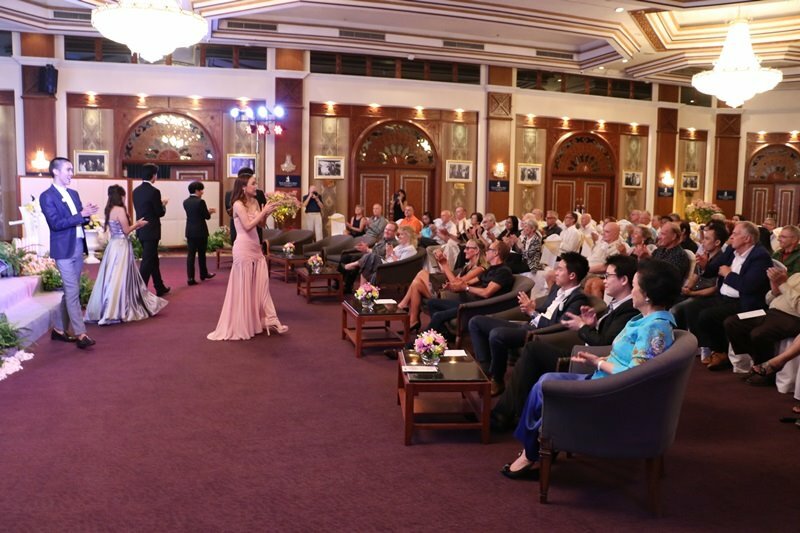 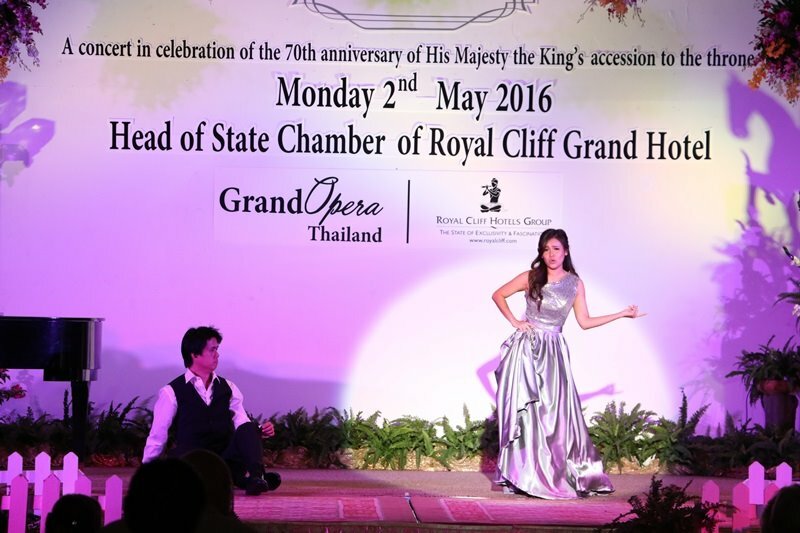 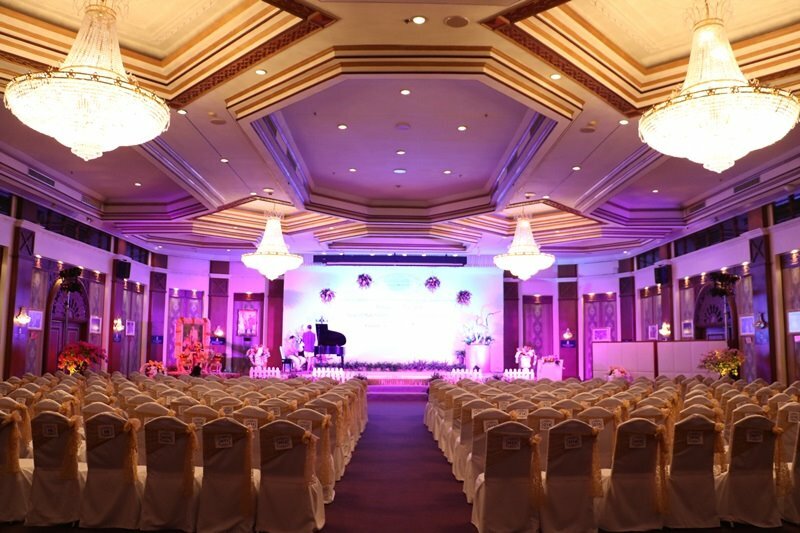 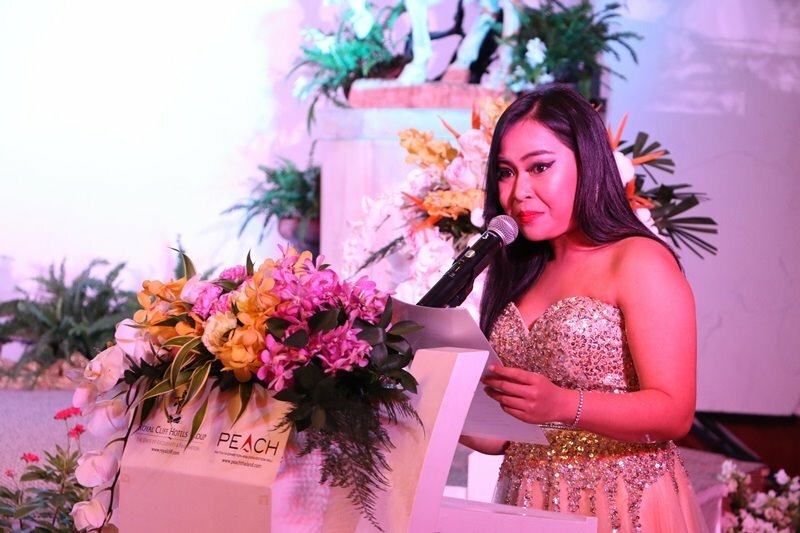 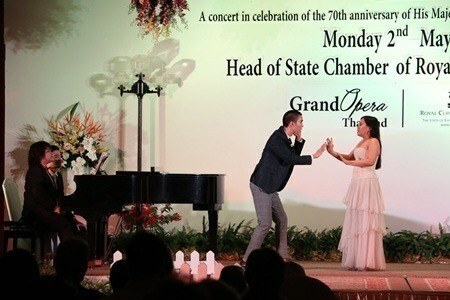 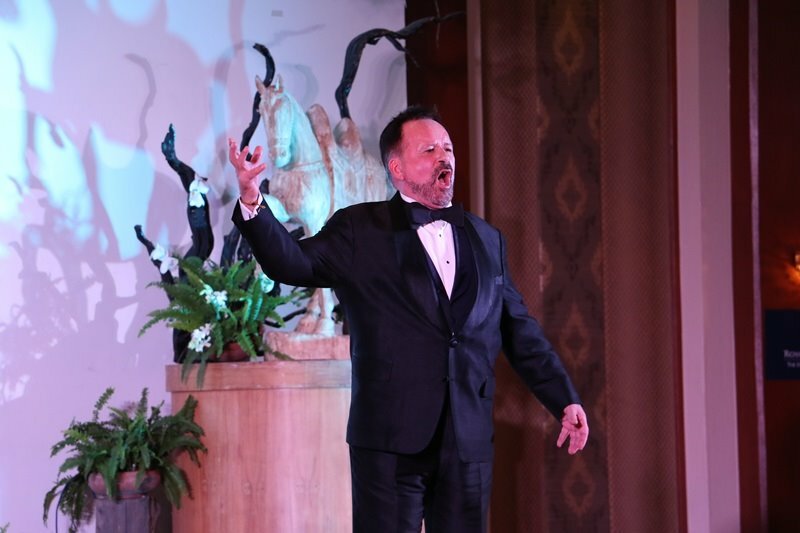 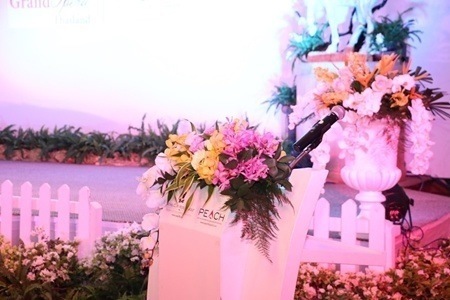 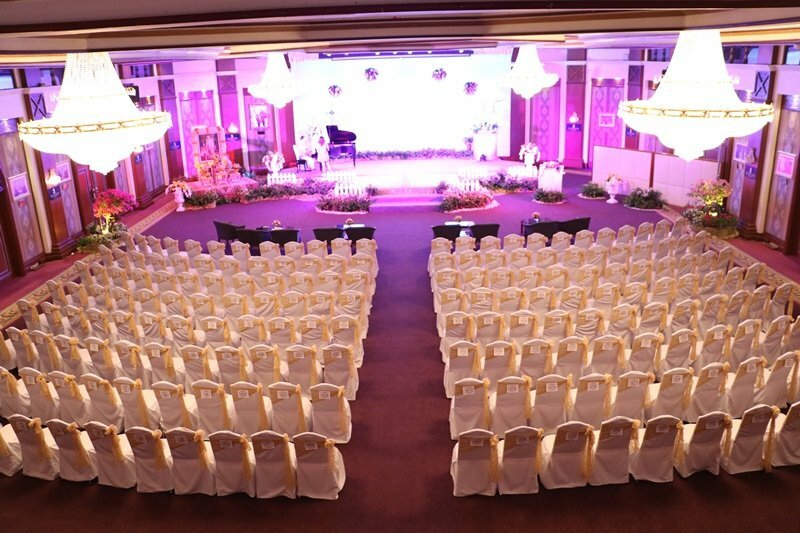 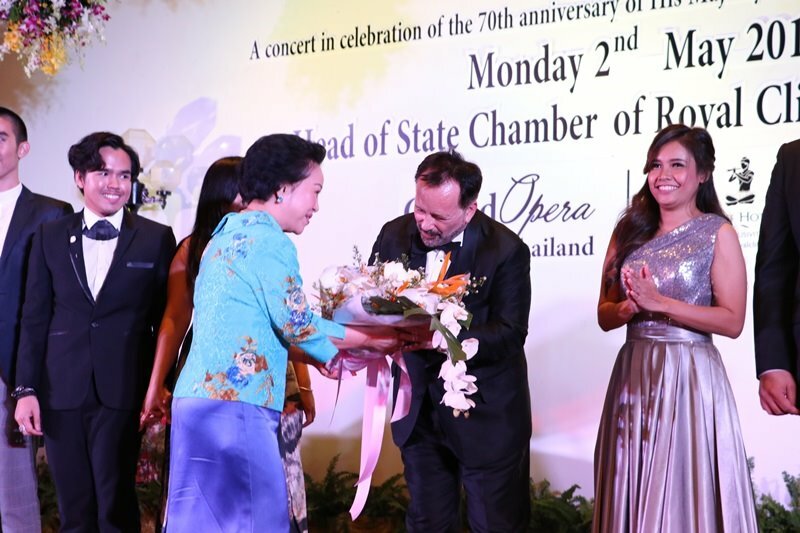 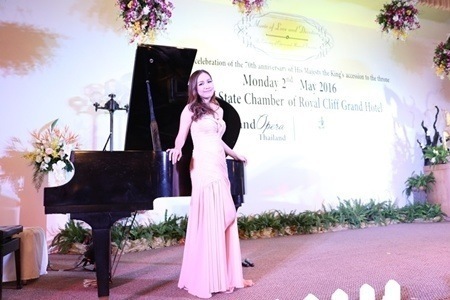 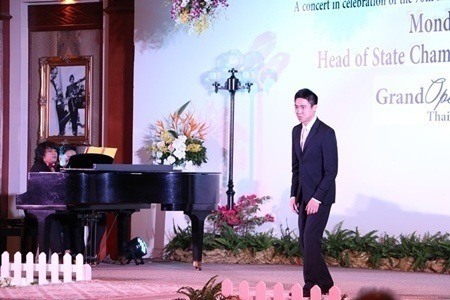 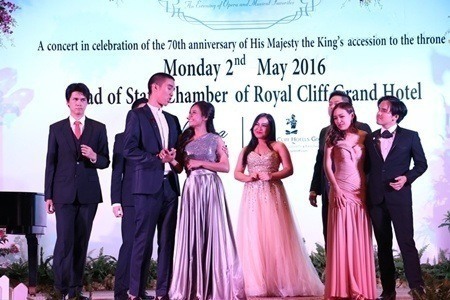 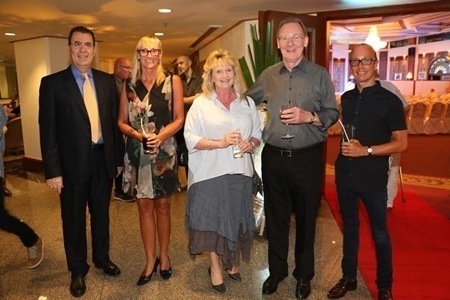 Pattaya, Thailand - On the auspicious occasion of the 70th anniversary of His Majesty the King’s Accession to the Throne, Royal Cliff Hotels Group together with the Grand Opera (Thailand) once again organized the “Music of Love and Devotion: An Evening of Opera and Musical Favorites” which was held on 2 May 2016 at the Head of State Chamber of the Royal Cliff Grand Hotel. 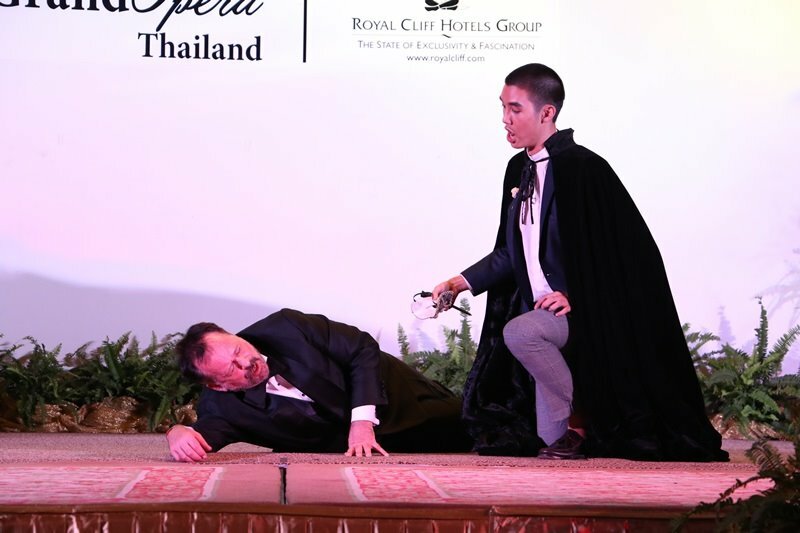 Special songs were selected and performed by a talented group of young and exceptional Thai opera singers lead by the Artistic Director of the European Chamber Opera and Grand Opera (Thailand), Mr. Stephan Sanchez to convey love and devotion to His Majesty the King. 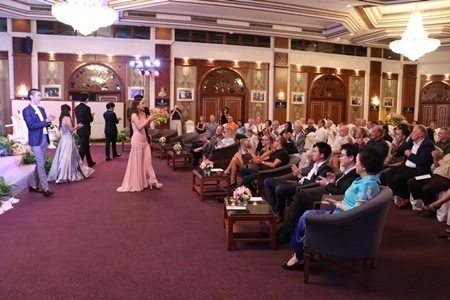 The night was filled with sentimental songs of love, poems and legends including “Endless Pleasure, Endless Love” from “Semele” by George Frideric Handel that tells the story of Jupiter that has fallen in love with a young maiden and “Dans un bois solitaire”, written by Wolfgang Amadeus Mozart which describes the story of a young man who encountered Cupid in a forest. 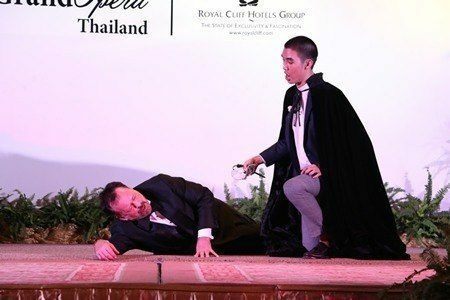 As punishment for waking him up, Cupid shot his arrow at the young man’s heart and cursed him to fall in love with an unfaithful girl. 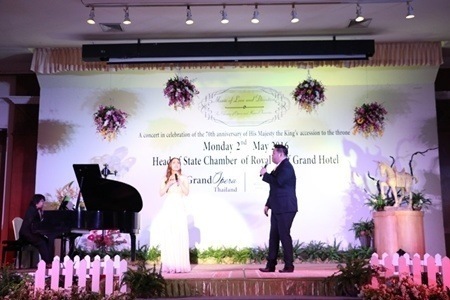 The concert Included musicals and popular songs such as “Sun and Moon” from Miss Saigon, “I've Never Been in Love Before” from Guys and Dolls and “On the Street Where You Live” from My Fair Lady. The performance was so outstanding that everyone requested an encore. 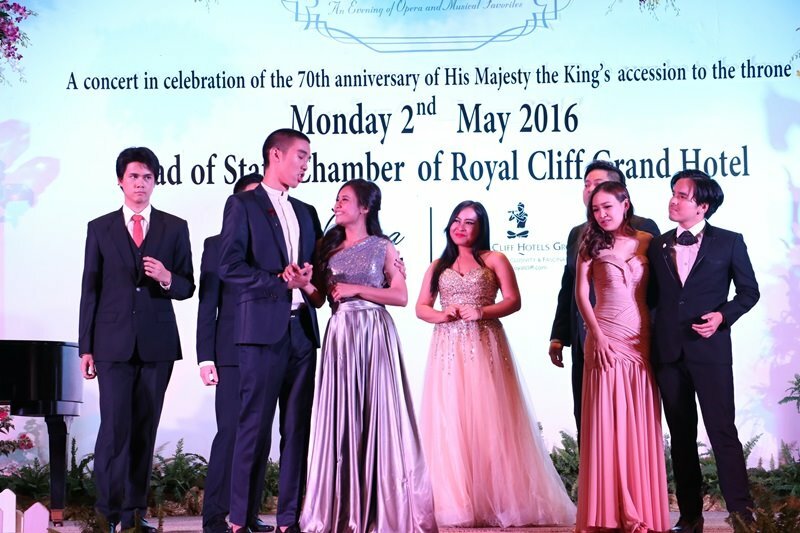 "We have been Royal Cliff’s regular guests for over a decade. 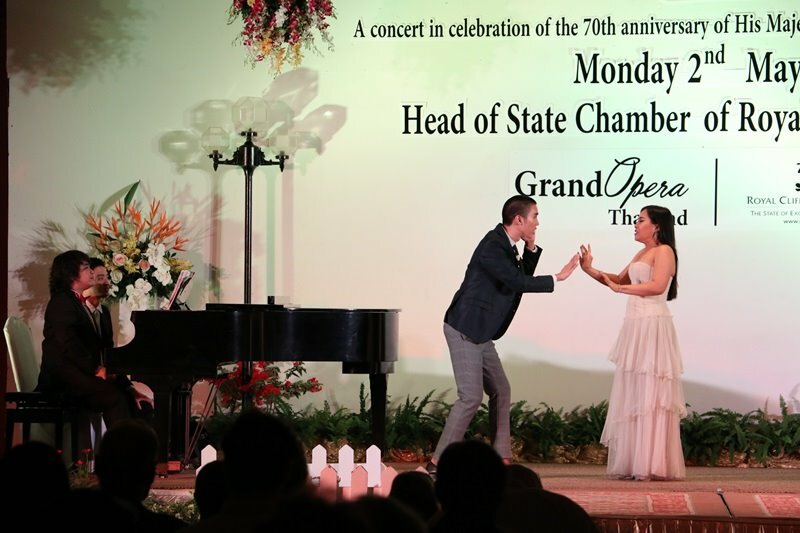 Last year, we had the chance to attend the opera concert here and it was fabulous." 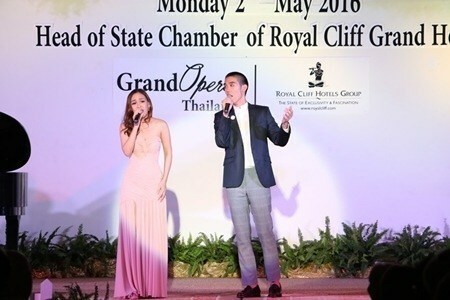 said Mr. and Mrs. Paul Barry Saich “Knowing that the opera was scheduled to perform again this year, we flew from the UK to stay at the Royal Cliff Beach Hotel for 3 weeks and bought the tickets for the concert without any hesitation. Everything we have seen, from the singers, the pianist, to the Royal Cliff staff, was perfect and made every penny we’ve spent worth it." 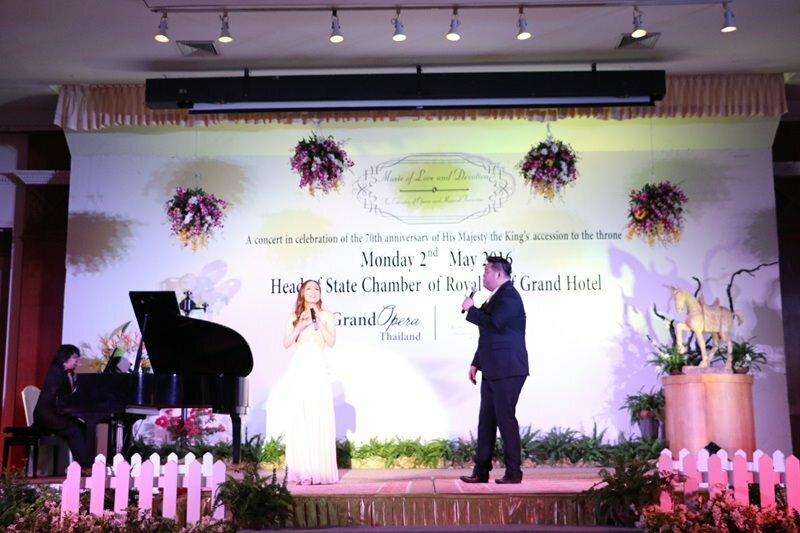 Situated on a 64 acre private parkland estate overlooking the stunning Gulf of Thailand, the Royal Cliff Hotels Group has been honored with multiple awards and recognition from organizations of national and international repute such as the TripAdvisor Hall of Fame and Travelers’ Choice awards. It is home to four award winning 5-star hotels offering a sensory experience defined profoundly by its style, culture and elegance - all presented with the distinctive spirit of the State of Exclusivity and Fascination. Photo caption: Vice President of the Royal Cliff Hotels Group, Mr. Vathanai Vathanakul (far left) along with Executive Director Mr. Vitanart Vathanakul (second from right) warmly welcomes Artistic Director of the European Chamber Opera and Grand Opera (Thailand), Mr. Stephan Sanchez (third from left) and the exceptional opera singers at the Head of State Chamber of the Royal Cliff Grand Hotel.